The centre is open from 10.00am to 4.00pm Monday to Friday (excluding Bank and Public holidays) and has full time managers and caring and catering staff. We aim to give our members a break from their own homes, and also day respite for their carers, whether immediate family, relations or professionals, who can be confident that their dependants are being well looked after in a caring and professional environment. The Centre provides a very pleasant location, near the town centre of Wokingham, for the use of the older residents of Wokingham Borough. They can spend their day in a friendly, caring and stimulating environment. We provide a substantial, healthy freshly cooked two course midday meal, morning and afternoon refreshments. Chiropody and hairdressing services are also available. 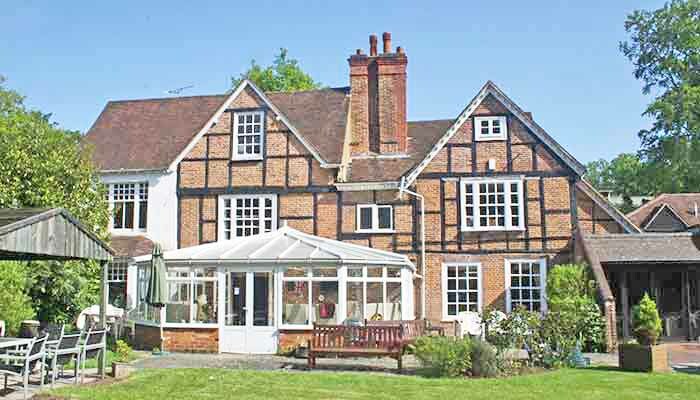 Outside our beautiful Grade II listed building with its large conservatory, we have a patio area and sweeping gardens with lawns, where members and their guests can relax and enjoy the atmosphere or play outdoor games. We run two minibuses, with salaried drivers, to bring in members from all parts of the Borough on a daily basis, at a low cost. These minibuses have rear lifting platforms and are equipped to take wheelchairs. The beautiful building and gardens at WADE offer a superb environment for special functions and events. With excellent indoor spaces and first class catering facilities WADE is a great venue for meetings and special gatherings. Rooms are available from £30 per hour. WADE is just a few minutes' walk from Wokingham station with frequent trains between Reading and London and Reading, Guildford and Gatwick. If you need a meeting room in a pleasant and accessible environment WADE would be an ideal choice.